You are in your car, on your way to work or to pick up your children and suddenly, without warning, you are struck by another vehicle. If you or a loved one is involved in a car accident and is seriously injured, it is important to know your rights and responsibilities. First and foremost, it is very important to exchange information, addresses and insurance companies with the other driver. If this is not possible due to your injuries, this information may be obtained by the investigating police officer. Make sure to report the accident to your insurance provider as soon as possible. If this is not done, insurance coverage for benefits may be denied. Contact the local police authorities and file an auto collision report. By filing this report, you are able to document the facts quickly after the accident to avoid error and help ascertain the party at fault. Receive proper medical care for any injured persons. Call an ambulance if necessary or visit an emergency care facility as soon as you leave the scene of the accident. It is important to note, some injuries may not be immediately apparent – for this reason, it is crucial to be examined by a doctor. Do not leave the scene of the accident until you have gathered all of the necessary contact information from all people involved such as names, phone numbers, addresses and the insurance information. In addition, gather the names and contact information of any witnesses. Do not discuss the accident or your injuries with anyone other than the police, your doctor or your lawyer. Giving statements to insurance representatives without speaking to your auto accident lawyer first can damage your legal case. In New York there are mandatory No-Fault insurance benefits for medical care and treatment rendered for the injuries suffered in this particular accident and for lost wages. Like any legal claim, there is a statute of limitations which applies to motor vehicle accidents. You have three (3) years from the date of accident in which to bring a legal claim. If you do not bring a legal claim within that time period you will be barred from bringing a lawsuit against the defendant driver. 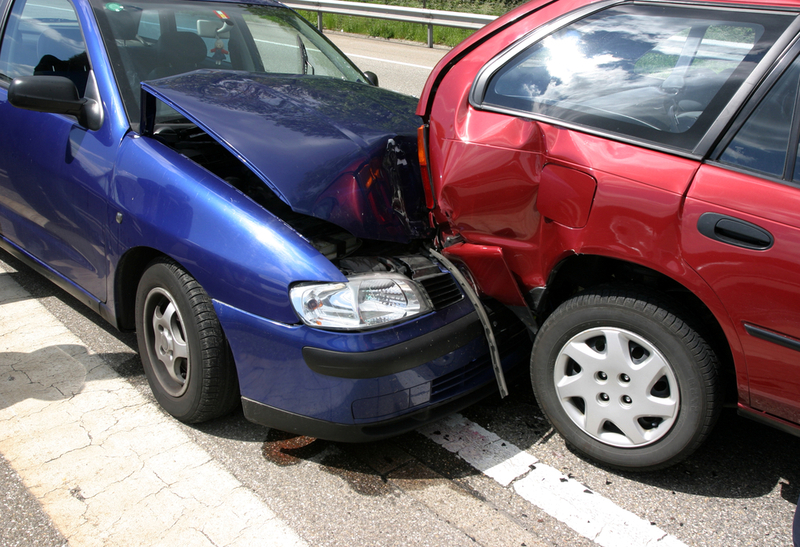 For an individual consultation regarding your potential motor vehicle accident claim, contact The Fink Law Firm P.C. today at 1(844) FINK- LAW (346-5529). Our award-winning personal injury attorneys will help you navigate the complex legal landscape in the tireless pursuit of justice.